Are you ready for a new challenge in your life? Are you ready to take on a new volunteer initiative at West Elementary School or West Middle School? Do you want to make a difference in the life of a West ISD student? Do you want to help support and serve wonderful teachers and staff members? Do you want to work with a great group of other parents and community members who love West ISD? 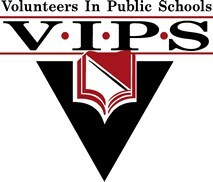 For the 2017-2018 school year, West Elementary School and West Middle School both set the Campus Improvement Plan goal to establish a new Volunteers in Public Schools (VIPS) program. This initiative is part of West ISD's goal to increase parental involvement and engagement in our schools. Each year across the nation, VIPS strives to recruit thousands of parents and community partners to donate their time, resources, and knowledge in support of the district’s primary goal to increase student achievement via targeted volunteer opportunities. Volunteers contribute in areas such as mentoring, tutoring, fundraising, career education, enrichment programs, teacher and staff appreciation activities, extracurricular and community service activities, and office and classroom assistance. During the annual back-to-school events, both West Elementary School and West Middle School will strive to sign-up new VIPS. After registering online or via the VIPS flyer and undergoing a background check, interested VIPS can sign-up for any VIPS committee as a Committee Chair, Committee Co-Chair, or Committee Member. VIPS may serve or chair one or more committees. Once the committees are formed, each committee will meet with the campus leadership team and begin working on the agreed upon goals for the new school year. After reviewing all Comprehensive Needs Assessment (CNA) campus survey data, West Elementary School and West Middle School chose the following committee headers for the upcoming school year.